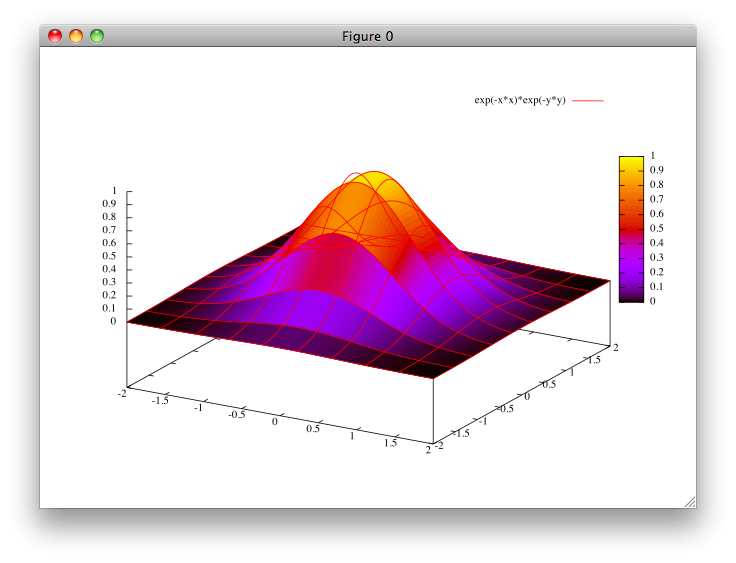 Here are step-by-step instructions for installing Gnuplot with mouse support and all Latex backends on OS X 10.6. 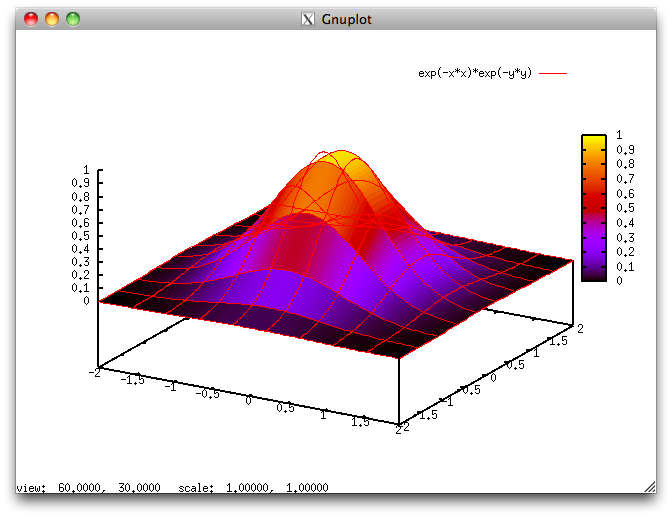 I’ve been using Gnuplot a little bit before discovering R. However, as I recently Gnuplot-related answered some questions on stackoverflow.com and stats.stackexchange.com, I decided to reinstall my old gnuplot which was by far and large broken: no mouse support, no aqua terminal, etc. I wanted to have aqua support because it has a nice rendering and export to PDF is made easy thanks to the Quartz device. I already have Aquaterm installed on my Airbook, but it is well known that it is only available in 32-bit mode. This means that we need to build Gnuplot for 32-bit (aka, i386) architecture, although I found some webpages showing that we can patch Aquaterm to run in 64-bit. Anyway, let’s go for an i386 architecture. I don’t really care because this is what I’m actually running most of the time. Ok, now, we have an i386 + x86_64 Lua 5.1. Finally, juts copy the lua.pc file to /usr/local/lib/pkgconfig directory. at the end of make. 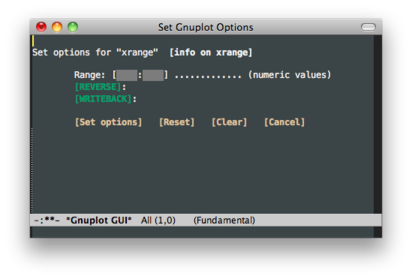 into you .emacs. 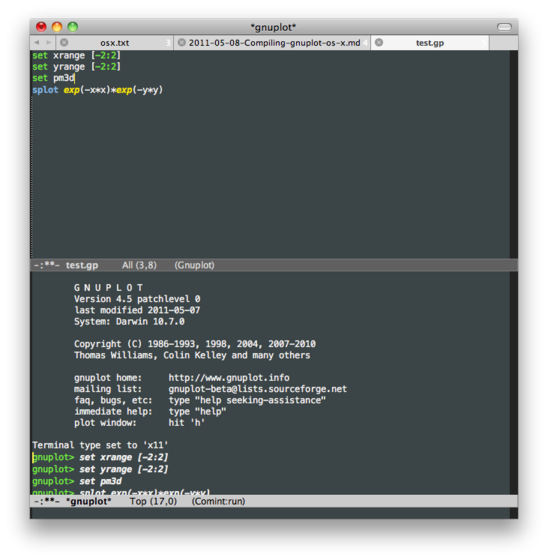 The gnuplot-mode is really great, for it allows to interact with Gnuplot directly from within Emacs while you type in your code, including minimal GUI functionalities.